Looted Benin Artefacts of 1897; Benin National Congress (BNC) seeks President Yar Adua's intervention! 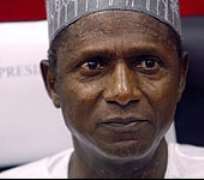 Being the title of an open letter to President Yar Adua and the Foreign Affairs Minister, Sunday 7th June 2009. It is with a great sense of grief and respect that we wish to formally and most respectfully reinstate our commitment to the cause of the unconditional repatriation of all looted Benin Artefacts currently in the custody of Britain and other Western countries, which were carted away during the historic invasion of Benin Kingdom by the British Government in 1897; and for which we seek your very dispassionate presidential support. The Benin National Congress as you may well know is a foremost pan Edo socio-cultural organization that has been at the forefront of the struggle for the just and unconditional repatriation of all Benin Artefacts which were looted from the palace of the Oba of Benin; 'primitive' museums and the shrines of the people of the Kingdom under the false pretext of colonialism; the struggle for review of all Edo Oil wells that were unjustly appropriated to Ondo and Delta states (during the Babangida regime) as well as our recent campaign for amnesty for the 27 convicted soldiers at Akure, amongst other noble agitations. The main objective of this letter is seek your formal support even though the relevant ministry or agencies are aware of this agitation and details, abate very uncomplimentary commitment to our cause, we believe that your intervention can stern the rising disenchantment and near-resort to self help by Edo people in Nigeria and the Diaspora over the more than a century old demand. Commonsensically, Mr. President, Foreign policy is about give and take, and if a section of the Nigeria federation (like Edo State) has been robbed by another country, it behoves on (your) Government to establish or determine the fact and circumstances, after which formidable actions are deployed towards the resolution of such agitation. This fair sense of belonging has NOT been felt by our people, and hence we seek your prompt intervention with a view to nipping in the bud, an agitation that has the capability of casting aspersion on the theory of Nigeria's federation, the concept of international justice and diplomacy. It will be fair and patriotic for the presidency to review its foreign policy relations with Britain within the context of the backlog of oppressive tendencies which have undermined Nigeria's collective aspiration-to be together for peace, progress and justice, as any attempt to down-play these fundamentals' of unity and accord will always have far-reaching negative effects on our national integrity, if not now, certainly later. We wish to reinstate our commitment to the Ninety-day ultimatum previously canvassed to all British High Commissions, (dated 14th April 2009) failing which we will sensitize Edo people and all peoples of good conscience and solidarity to embark on peaceful protests including the collation of signatory for the august-and promising-international court of justice attention to this over a century old nation's inhumanity to a nation. This is no doubt is the height of absurdity of power-play by Britain at the international arena.